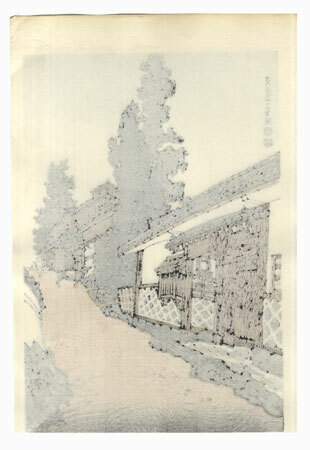 Comments - Charming depiction of Takagamine Road in Kyoto, lined with handsome tile-roofed buildings. 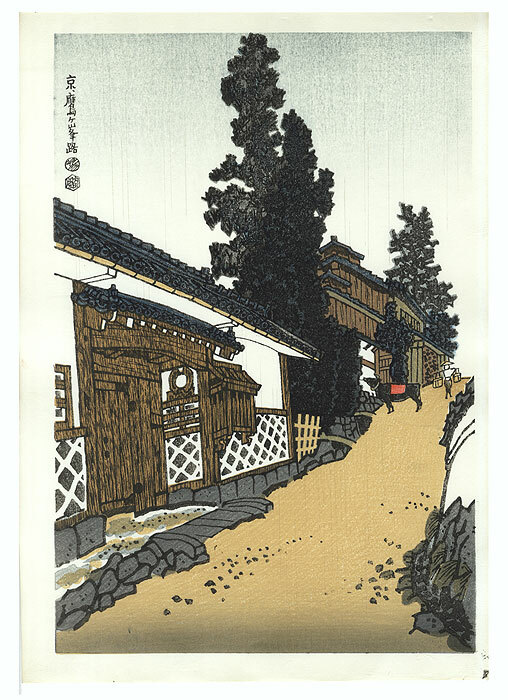 The street rises steeply to the right, a man carrying a yoke over his shoulders making his way past an ox tied to the side of the road. 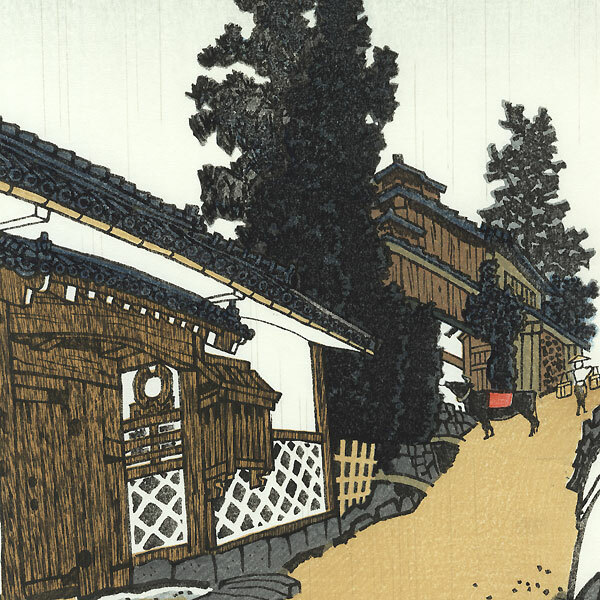 A light rain falls over the scene, the sky darkening to gray. A beautiful modern composition with bold black line work and soft shading in the sky.